‘Yuanmou Man’ who lived 1.7 million years ago in today’s Yunnan Province, south-west China, ‘Lantian Man’ who lived in the early Paleolithic Age, fossils of which were discovered in North China’s Shaanxi Province, and ‘Peking Man’ who lived about 500,000 years ago. Perhaps these ancestors were early nomads spreading from east Africa. The oldest hominid discovered to date in Ethiopia is the 4.2 million year old Ardipithicus ramidus (Ardi) found by Tim D. White in 1994. The most well known hominid discovery is Lucy, found in the Awash Valley of Ethiopia’s Afar region in 1974 by Donald Johanson, and is one of the most complete and best preserved, adult Australopithecine fossils ever uncovered. Lucy’s taxonomic name, Australopithecus afarensis, means ‘southern ape of Afar’, and refers to the Ethiopian region where the discovery was made. Lucy is estimated to have lived 3.2 million years ago. The thousands of years it took humans tribes to arrive and inhabit the Americas brings us to the first Mesoamerican civilisation in Mexico, who lived in the city of Teotihuacan from around 100 AD. Whilst the Teotihuacanoes of Mexico (link https://borderslynn.com/2018/08/13/obsidian-power-part-two/) are likely to have gathered salt, we only know from oral record of the Native American Indians that salt has been historically important in their history. In many places of North America, certain plants or coastal shells could be reduced to ash and that would be salty. People made salt by evaporating briny water from salt springs. They used rock salt deposits. They found natural seashore areas with salt. They found salt lick areas to gather salt. They would gather it from salt lakes and salt pans. Salt was valuable and such areas were guarded. It was widely traded. But for thousands of years the tribes in the area we now know as China, had been procuring salt since their Paleolithic existence. But the geography of China is of major interest in trying to explain the human endeavour which has driven the sense of what it means to be Chinese. One of the two specific cultural regions that developed Chinese civilization was the Yellow River civilization (Huang He). This huge river is about 5,464 km, and is second to the longest river in China, the Yantze. It is the sixth-longest in the world. It is called the Yellow river because of the color of silts that are carried in its flow. The Huang He (yellow) river stretches across China for more than 2,900 miles. It carries its rich yellow silt all the way from Mongolia to the Pacific Ocean. The Yangtze (Chang Jiang) is about 3,400 miles and runs across central China. The two major rivers both merge together to create a vast food-producing area. Although China has two major rivers running through it only 10% of its land is fertile and has rich enough soil to grow crops unlike the 19% by the United States. 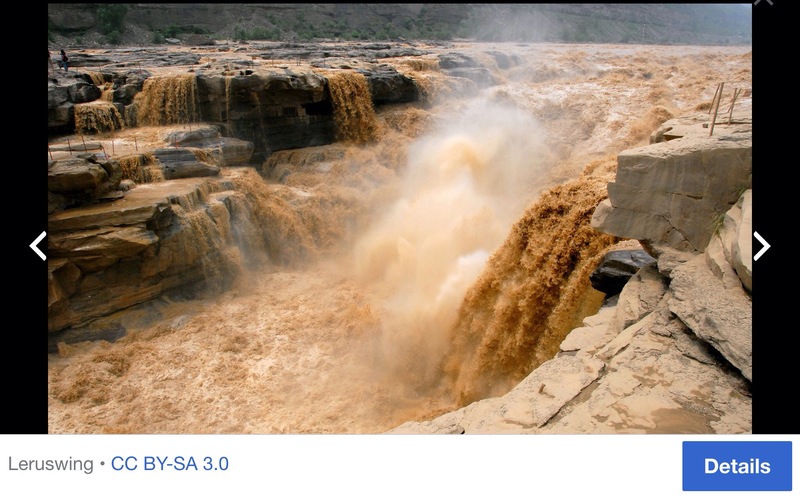 Between 608 BC and 1938 AD, the Yellow River changed course 26 times, and flooded over 1,500 times, causing the deaths of millions of people. 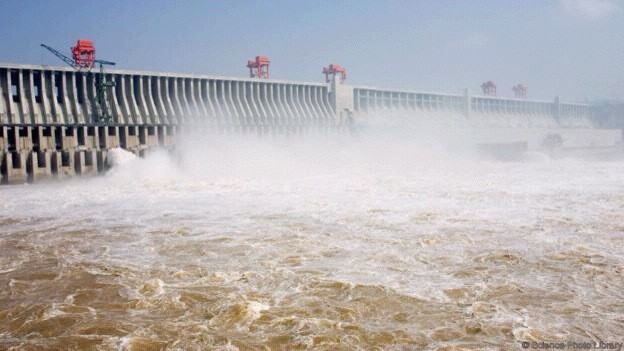 Successive Chinese governments have tried to tame nature by investing in building major dams along the Yellow River, the latest and largest being the Three Gorges Dam. This is one of the most controversial dams as it has caused permanent resettlement of those whose homes were flooded within the reservoir basin. The area designated for the Three Gorges reservoir lake – covering 1,000 square kilometres and stretching more than 600km (375 miles) upstream – was home to some 1.5 million people, living in 19 counties and municipalities, 140 towns, 326 townships and 1,351 villages. All had to be relocated. The Yellow River civilisation and the Yangtze civilisation were discovered when evidence for Chinese millet agriculture was found and dated to around 7000 BC, with the earliest evidence of cultivated rice found at Chengtoushan near the Yangtze River, dated to 6500 BC. 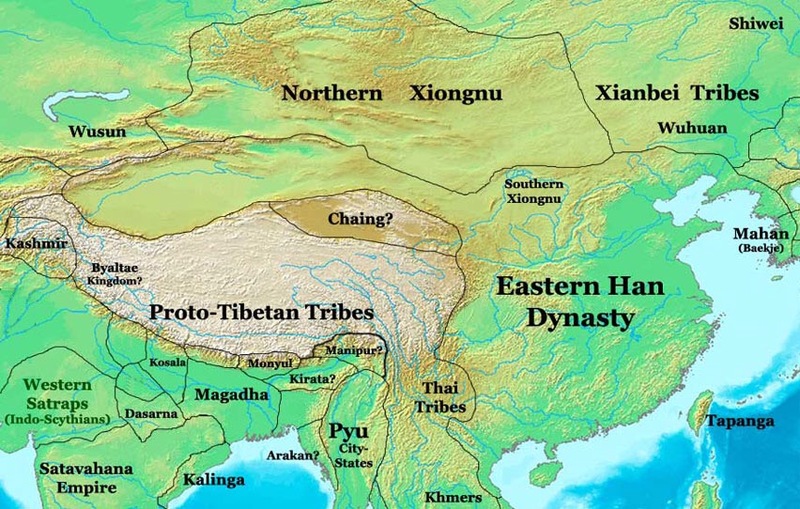 These are the Chinese historical areas for human development we label as examples of Cradles of Civilisation, when various nomadic tribes and ethnic groups settled, farmed and traded. Geology plays a major part in the continually changing landscape of China. The previous blog explains the link between seismic activity and the origins of life. Now consider China and India. Collision of India with the Asian mainland during the earliest Eocene (~50 Ma) has resulted in the growth of the world’s largest orogenic belt, ( Free Dictionary: The process of mountain formation, especially by a folding and faulting of the earth’s crust) the Himalayas, and the associated Tibetan plateau. The seimotectonic tectonic evolution of China is characterized by the merger of several microcontinents throughout the entire Phanerozoic (Zhang et al., 1984; Hendrix and Davis, 2001). The collision and associated convergence and extension has created 64 major tectonic zones in China, which can be subdivided into a smaller number of tectonic “regions” (Zhang et al.,1984; Yin and Nie,1996). Thus, China is located in one of the most active seismic regions of the world that has been plagued by numerous destructive earthquakes during its long history. 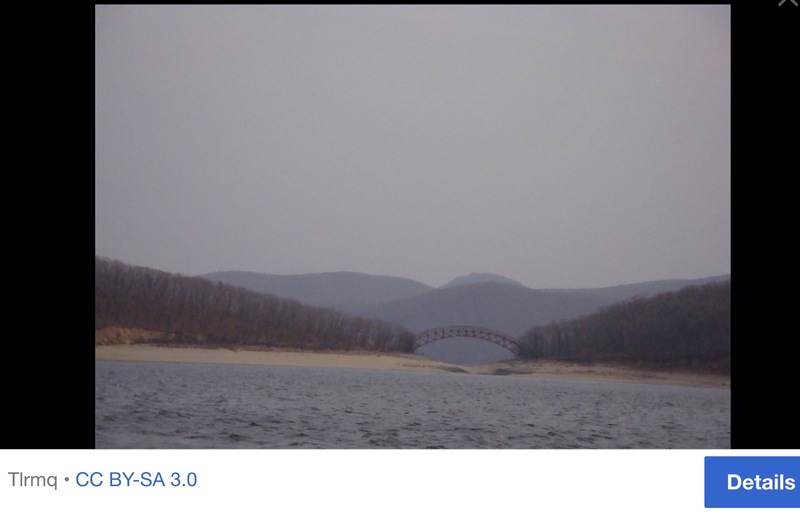 This is a lake located in the upper reaches of the Mudan River among the Wanda Mountains in Ningan County, Heilongjiang, in the People’s Republic of China. Earlier names for the lake include Meituohu Lake (湄沱湖), Huhanhai Lake (忽汗海), and Bilten Lake (Manchurian: ᠪᡳᠯᡨᡝᠨ ;Chinese: 畢爾騰湖). It was created around 10,000. This was a time when volcanic eruptions in the region blocked the flow of the Mudanjiang River. As we know, across the Northern Hemsiphere, 10,000 years ago, the Neolithic period began and in China, as the ice retreated across the Northern Hemisphere, human activity became more settled in southern China. Ecological concerns are global, and the WWF highlights the NE area of China where ‘the temperate coastal saline meadow encompasses the mouth of Luan He River and the Huang He Delta. The ecoregion functions as a critical refueling stop for migratory birds along the Siberian-Australasian flyway. Siltation is causing the meadow to gradually advance into the Bohai Sea. In recent years, rapid development in the Bohai-rim areas has brought serious damage to the local ecology. There are no protection measures in place to mitigate threats to species and habitats.’ see https://www.worldwildlife.org/ecoregions/pa0902). Ecocide is difficult to counter, but all humans must try and rebalance their environments although the momentum of continuing harm is worldwide. Despite the ever changing geology of this landmass, the Chinese have the most consistent record of methods of acquiring salt and managing it. They created a monopoly, just as the Teotihuacanoes had created a monopoly of obsidian due to the plentiful supply in the volcanic region where they chose to build their civilisation. During the significant reign of the Han, parts of China saw an age of economic prosperity and a money economy was first established during the Zhou dynasty (c. 1050–256 BC). The coinage issued by the central government mint in 119 BC remained the standard coinage of China until the Tang dynasty (618–907 AD). The period saw a number of limited institutional innovations. 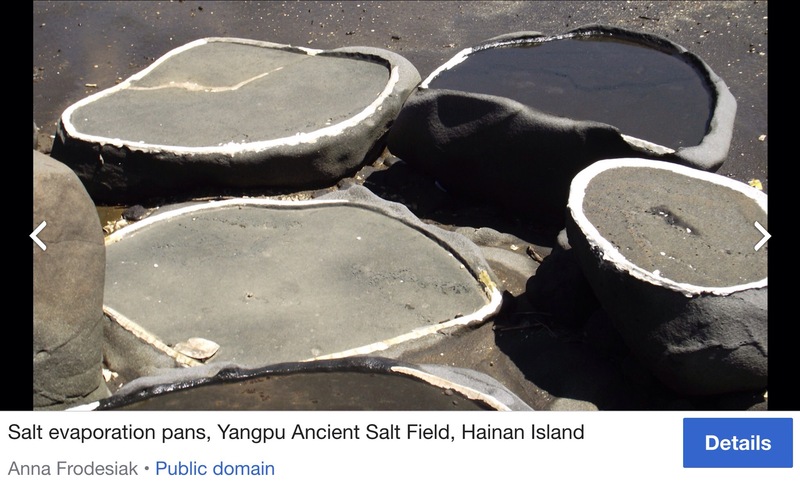 To finance its military campaigns and the settlement of newly conquered frontier territories, the Han government nationalized the private salt and iron industries in 117 BC, but these government monopolies were repealed during the Eastern Han dynasty. The various artefacts which define ancient cultures are often destroyed through natural disasters or vital farming practices. It is said farmers have destroyed priceless 2,000-year-old Han lyres and flutes because they had “inauspicious” tiger motifs on them and pig keepers have destroyed ancient tombs by using the bricks from mausoleums to make pig sties. Destruction of ancient artefacts by succeeding generations is common the world over as we humans tend to see uses to suit our needs of survival and may not have the luxury to leave the item as a cherished specimen. About the turn of the Common Era, population censuses in China became statistically useful for the entire united mainland. By 2 CE, censuses were taken and recorded on occasion. Contrast these numbers to those of Teotihuacan at its peak (though no written record exists) as possibly between 125,000 to 250,000 persons. This reflects the contrasting fewer humans, having trekked over thousands of years to reach the Americas, with those who had remained in the Asian landmass. Hemp paper had been used in China for wrapping and padding since the eighth century BCE. Paper with legible Chinese writings on it has also been dated to 8 BCE. The traditional inventor attribution is of Cai Lun, an official attached to the Imperial court during the Han Dynasty (202 BCE-220 CE), said to have invented paper about 105 CE using mulberry and other bast fibres along with fishnets, old rags, and hemp waste. Paper used as a writing medium had become widespread by the 3rd century and, by the 6th century, toilet paper was starting to be used in China as well. Humans have creatively exploited the geology and become alchemists, mathematicians, astronomers, architects and land managers, amongst other sciences, as they took on the mental challenges of their environment. They have also become warriors. The Xiongnu, a nomadic steppe confederation, defeated the Han in 200 BC and forced the Han to submit as a de facto inferior partner, but continued their raids on the Han borders. Emperor Wu launched several military campaigns against them. The ultimate Han victory in these wars eventually forced the Xiongnu to accept vassal status as Han tributaries. These campaigns expanded Han sovereignty into the Tarim Basin of Central Asia, divided the Xiongnu into two separate confederations, and helped establish the vast trade network known as the Silk Road, which reached as far as the Mediterranean world. The territories north of Han’s borders were quickly overrun by the nomadic Xianbei confederation. Emperor Wu also launched successful military expeditions in the south, annexing Nanyue in 111 BC and Dian in 109 BC, and in the Korean Peninsula where the Xuantu and Lelang Commanderies were established in 108 BC. After 92 AD, the palace eunuchs increasingly involved themselves in court politics, engaging in violent power struggles between the various consort clans of the empresses and empresses dowager, causing the Han’s ultimate downfall. Imperial authority was also seriously challenged by large Daoist religious societies which instigated the Yellow Turban Rebellion and the Five Pecks of Rice Rebellion. Following the death of Emperor Ling (r. 168–189 AD), the palace eunuchs suffered wholesale massacre by military officers, allowing members of the aristocracy and military governors to become warlords and divide the empire. When Cao Pi, King of Wei, usurped the throne from Emperor Xian, the Han dynasty would eventually collapse and ceased to exist. But not their legacy of what it means to be Chinese. Map of the geographical extension of the Eastern Han Empire with its extension of the Western Protectorates in 100 AD. The next blog will explore the salt trade. This entry was posted in Uncategorized and tagged China, cradle of civilisation, dams, ecocide, floods, geology, Mexico, neolithic, paleolithic, seismic activity, tectonic plates. Bookmark the permalink.